Protection and NMD Head Options. ConductRF offers many more RF solutions from applications up to 110 GHz. 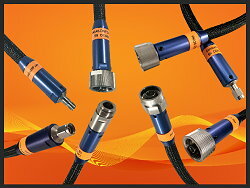 ConductRF offers Straight & R/A Low PIM Connectors for 7/16, N, SMA, QMA, 4.1/9.5 and 4.3/10 interfaces. PIM levels vary depending on cable and configuration. We also offer Adapters. Download our datasheets by clicking the pictures above for more detail of call us at +1 978 374 6840. ConductRF is the brand name for Electronic Assembly Mfg. 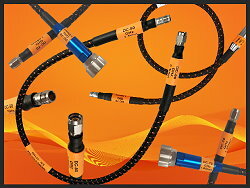 Inc's complete RF interconnect product line including cable assemblies. Operating out of Methuen, Massachusetts, EAM has been in the RF Interconnect industry for nearly 20 years, successfully supporting high performance solutions that require precision and expertise to bring to life. Our ConductRF brand builds on this expertise with an expanded product offering, including both commercial and precision RF coaxial connector ranges as well as the capability to support customized solutions with our Application Engineering focus. We can provide diverse manufacturing solutions with our capabilities in the U.S. as well as Asia from where support low cost volume coax production requirements.